FINAL FLOOR is a crosslinked, water-based, 100% aliphatic urethane wood coating which exhibits exceptional durability and gloss, responds well to high speed burnishing. Floor preparation and product application can be accomplished in one day. 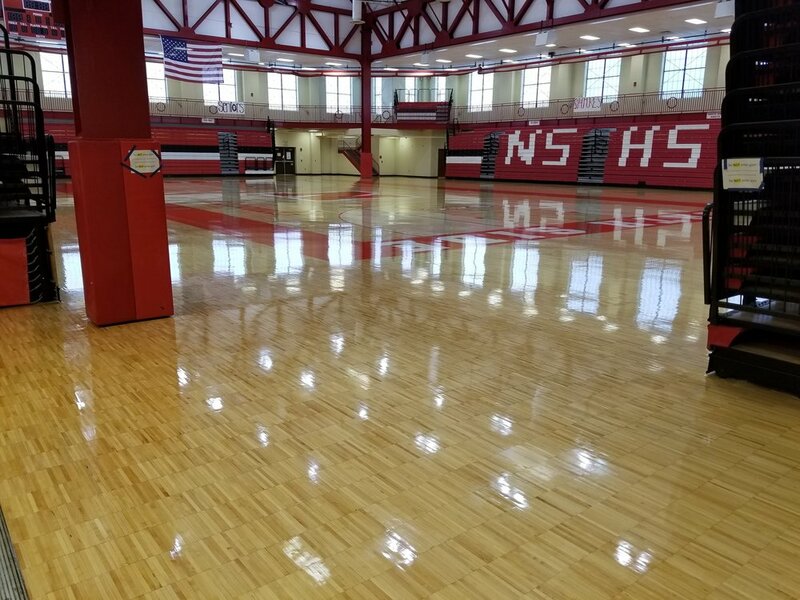 VARSITY COURT is a single component, oxygen crosslinked, water based, 100% oil modified urethane which provides performance comparable to conventional solvent based products. In addition, it exhibits all the advantages of water based products including fast dry, water clean up, low odor and responds well to high speed burnishing. This product can also be used to seal the floor.